The Balearic island of Menorca is a jewel in the Mediterranean Sea and has become a favourite destination for tourists and holiday makers all year round due to its unique climate and pace of life. The island where it never gets cold and barely rains is particularly appealing to those who want to go out of season and get a chance to enjoy the sea and warm breezes in the sunshine. For those who can’t stand too much heat, Menorca is also the perfect destination. While it never drops much below about 15oc, it also never rises much above 28oc, making it ideal for those seeking warmth and sunshine rather than blazing heat. The Balearic Islands have long been a favourite with those seeking a break from the long, dark winters in the UK and other Northern European countries to get some winter sunshine and warmth to shorten the depths of the season. From November to March, there is a chance to get temperatures in the mid-teens and as few as 3 inches of rain per month, it makes for a wonderful break from the freezing cold and driving rain of a depressing British winter. There is plenty to do in the winter on Menorca too. While it won’t be the full-on fiesta and crowds that you would enjoy during the summer months, there are lots of things for those seeking peace and quiet can do in the beautiful scenery. During the low season, the island is tranquil and relatively deserted with many of the main attractions opening restricted hours due to the lower numbers of visitors. However, there are few better times of year to enjoy the breathtaking scenery of the island. When the light is low in the skies and the autumn rain has washed the dust from the leaves, the lush pastures and rolling hills in the inland part of the island take on a whole new aspect. Walking at this time of year is an absolute treat, with the opportunity to see some of Menorca’s rare flora and fauna when it is minimally disturbed. While there is little rain on the island, when storms come they are spectacular. Spending some time watching the rain lash in from the sea and waves crashing against the cliffs is a pleasant diversion in itself. During the summer season, there is a completely different feel to the island. The population expands by some two thirds as visitors flock to Menorca to enjoy the sunshine, fine food and fiestas. 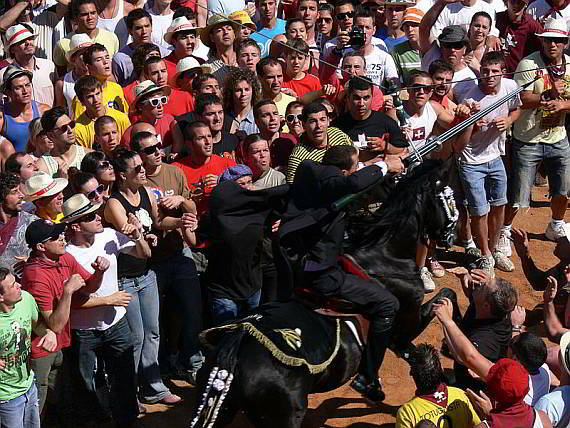 The fiestas that take place across the island are one of the greatest attractions to the island during the summer. Local people put their heart and soul into the festivities and lucky visitors can enjoy some truly unique sights including local horse-riders promenading through the towns on their magnificent Menorquin steeds and the bright and colourful décor of the towns as they dress themselves for the events. The summer is also a wonderful time to visit if you have any interest in water sports. With the calm, warm waters of the Mediterranean lapping at the shores of the island you will find divers, water-skiing and kayaking all around the island. Taking to the water and looking back at the island also gives a completely different impression of Menorca and makes for an enjoyable trip in the summer sunshine. 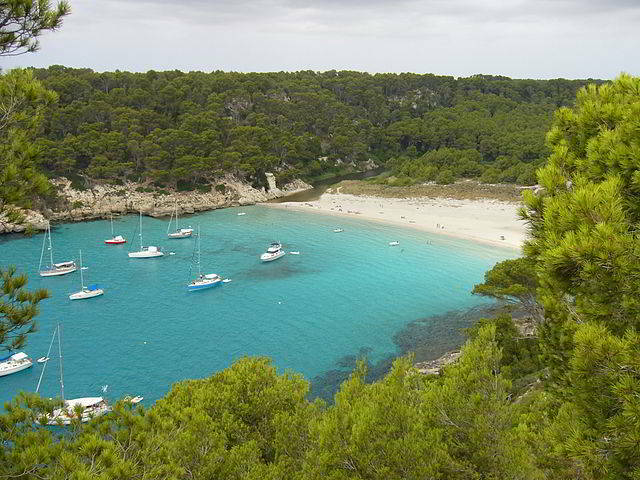 Menorca is a wonderful place to visit at any time of year. Whether it’s the peace and quiet of the winter or summer’s parties and fiestas, the weather is always conducive to a great holiday and a break from the unpredictable weather back home.